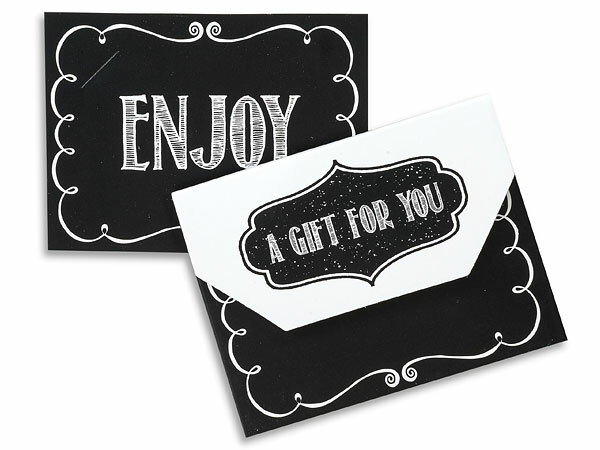 Chalkboard Gift Card Holders 4-1/2x3-1/2x3/8"
All Occasion and Christmas Gift Card Holders for gift cards or gift certificates come in several designs and styles. Holders have envelope fold over style flap with hook and loop closures. Heavy paper card insert is included.